Let’s welcome our favourite God, Lord Ganesha, this year in an Eco-Friendly and Natural Way. Learn to make your own Ganesha Idol using basic techniques of Studio Pottery. We will be using natural clay. 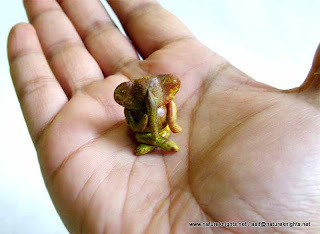 You can carry back the Idol of Lord Ganesha that you have made with your own hands. For 2 or more persons registering together Rs.500/- per head. Discounts available only to those who register in advance with full payment. Participants can buy Ready Wet Clay @60 Per KG. 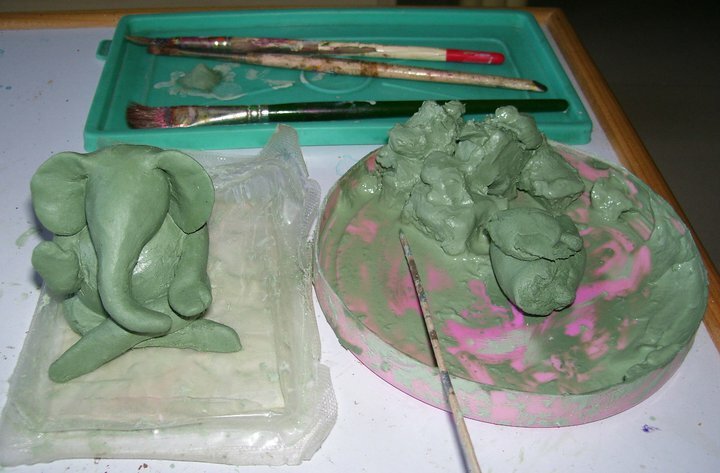 (We will make arrangement clay based on advanced order). Carry your own water bottle and snacks. All around us we see various pandals and house-holds celebrating the much loved festival of Ganesh Chaturthi. While the celebrations are a happy occasion, the aftermath of the celebrations are quite unhappy with non-bio-degradable material littered all around us. 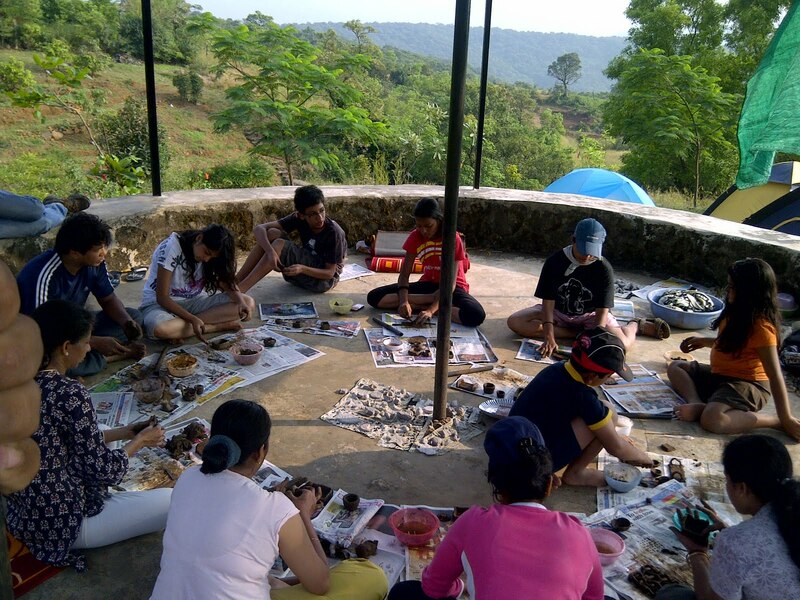 As an effort to educate the people on the importance to use eco-friendly methods to celebrate festivals, we at Nature Knights have devised this workshop. 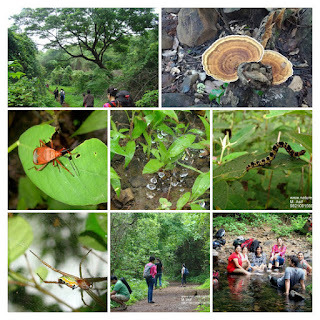 Nature Knights is a group that promotes eco-friendly activities from nature walks, to workshops with over 20 year long experience in this field. 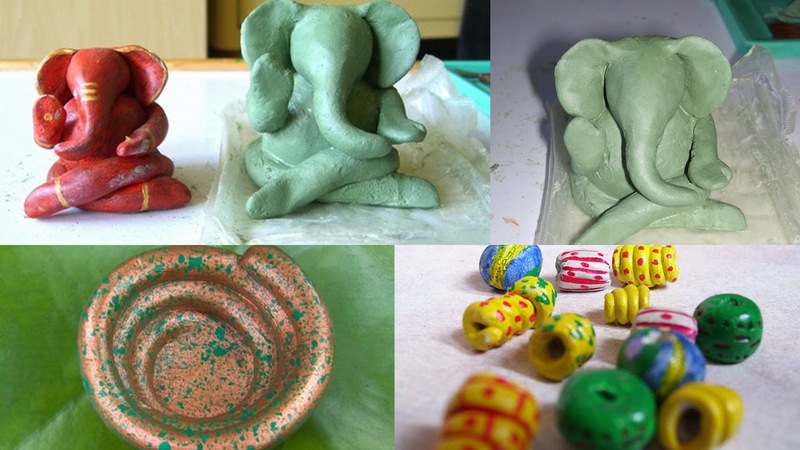 So to welcome our favourite God, Lord Ganesha, in a eco-friendly and natural way we are teaching participants to make their own Ganesha idols and how to reclaim and reuse the clay after the ‘Visarjan’. 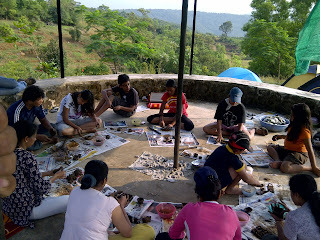 Besides this we will be educating them on using recycled, bio-degradable material for decorations. 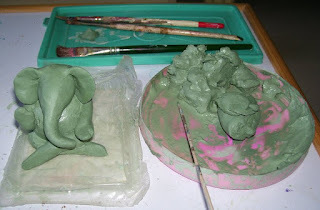 Making of the Ganesha idols from natural clay using studio pottery techniques. Note: If you have a batch of 15 to 20 participants we can do this workshop in Mumbai at a special cost on any week days as per mutual convenience.